In most U.S. cities, local authorities are responsible for governance of the local public schools and managing the local water supply, among other things. 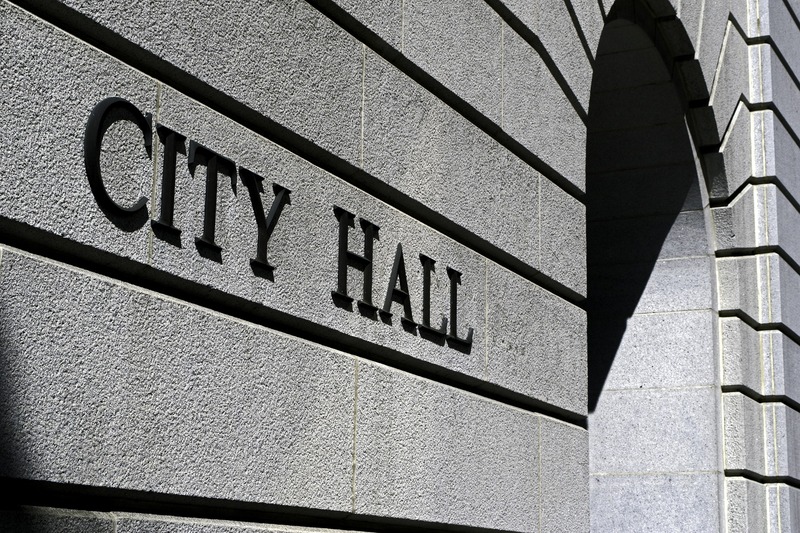 However, in many U.S. cities, local residents and their local elected officials do not have decision-making authority over traditional local government functions. In cities like Detroit, New Orleans, and Newark, states control the local schools. In Flint, the state of Michigan has governance authority over the city’s water supply. These cities have experienced state takeovers of their local governments. State takeovers of local government are a relatively recent phenomenon in American politics. States began taking over local school districts in the 1980s. Since then, over 100 school districts have been taken over by their respective states and hundreds more have been threatened to be taken over. In addition to Detroit, New Orleans, and Newark, over the past two decades, Boston, Baltimore, Birmingham, Chicago, Cleveland, Detroit, Hartford, Memphis, Oakland, New York City, and Philadelphia have all experienced state takeovers of their local schools as well. Although many major U.S. cities have experienced state takeovers of their local governments, we know little about the political causes and consequences of state takeovers. My paper in UAR analyzes the state takeover of the Newark, New Jersey public schools to examine why states increased their presence in urban localities. Specifically, it examines two significant changes in American politics over the past 40 years – the increasing role of state government in local affairs and the emergence of Black-led urban political regimes – and asks, how the intersection of these 2 factors have altered urban politics and to what extent do they challenge existing theories of urban politics? The case of Newark, New Jersey suggests that the increasing presence of state government was a response to the growth of Black political empowerment in the state’s most populous city. Following the Civil Rights Movement and civil unrest in the 1960s, Blacks gained political empowerment of the city and pursued redistributive policies – particularly in the area of public education – that would provoke a response from political opponents at the state level, including governors and non-urban state legislators. In New Jersey, as in other states, urban communities sought to bring additional resources to their cities to improve public education by suing state governments for more equitable school funding. As plaintiffs succeeded in the courts, and urban, predominantly Black and Latino communities were poised to receive additional resources from state governments for their schools, governors and non-urban state legislators responded by utilizing the powers of the state legislature to delay, curtail, and then control the court-mandated increases in funding for low-resourced communities. It is within this political context, that state takeovers of local school districts emerge. The increasing presence of state actors, particularly governors, in local affairs, has altered urban governance. The Newark case reveals that as governors assume greater leadership roles in urban regimes, local constituencies have to contend with the presence of an influential regime actor whose electoral success may or may not be dependent on the communities that they lead. The changing role of state actors in urban regimes requires an expansion of urban regime theory as a conceptual framework. Building on the argument that urban regimes should be viewed as intergovernmental regimes (Burns 2002), the findings from the case study suggest that local communities are best represented under cohesive state-local regimes; while localities are exposed to less desirable, even hostile, state-led policies, under disjointed state-local regimes. In Newark, as Blacks gained political power in the city and were successful in increasing state resources for education, the city became increasingly vulnerable to intervention from state officials. However, a cohesive state-local regime decreased the likelihood that the state would take over the school district, despite state monitoring of the district since the 1970s. On the other hand, the election of a Republican governor, who did not depend on Newark voters or their elected officials for their political success, led to a disjointed state-local regime which increased the likelihood of a takeover in Newark. In 1995, after years of threats to take over the school district, the state’s Republican administration moved to take over the Newark schools. Over the next 20 years, Newark would experience the role of the state differently in the city, depending on which political party controlled the governorship. Although partisan identification was a major factor in helping produce cohesive or disjointed state-local regimes, the Newark case shows that co-partisanship does not have to equate to cohesive intergovernmental regimes. Cory Booker, the Democratic mayor, played an influential role in the transition from a cohesive to a disjointed-state local regime in Newark. Booker’s support from the business community and his alliance with the Republican governor, Chris Christie, on education policy, contributed to and strengthened a disjointed regime which included the school board, city council, and Newark voters on one hand, and the mayor, governor, and the business community on the other. The separation of the Black community and its elected officials from public school governance, signaled the end of the Black-led urban regime in Newark. The Newark experience illustrates how relationships between local regimes and state administrations can have an effect on state policy. The findings from this study suggest that collaboration, a key aspect of successful school improvement efforts, is most likely to occur under cohesive state-local regimes. At the same time, further work needs to be done to examine how relationships between state actors and local regimes affect urban governance. As of 2016, Republicans control state legislatures in two-thirds of the states. Furthermore, following the 2014 elections, 31 states have Republican Governors; the most by any party in more than 15 years. The emergence of Republican-dominated state politics will continue to have significant political implications on urban governance and communities of color. Domingo Morel is an assistant professor in the Department of Political Science at Rutgers University – Newark. His research focuses on racial and ethnic politics, urban politics, and the politics of urban education. His forthcoming book, Takeover: Race, Education, and American Democracy (Oxford University Press) examines the political implications of state takeovers of local school districts. Another forthcoming book, Latino Mayors: Power and Political Change in the Postindustrial City (co-edited with Marion Orr, Temple University Press), examines the rise of Latino mayors in the U.S. To learn more about his research, visit https://domingomorel.com/.